We have been in business for a little over 4 years and originate out of Hastings, NE and work in surrounding areas in Nebraska, but we have traveled to other states to work like Kansas, Colorado, South Dakota and many other states. 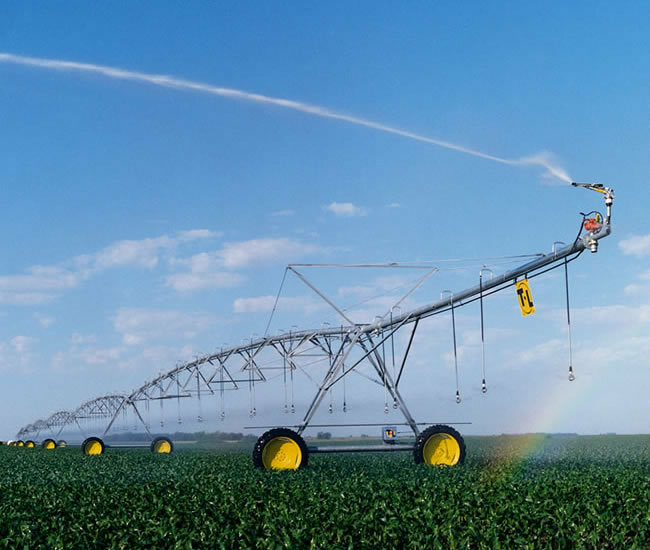 We are a partnership company with a lot of expriance on building, tearing down and repair of T&L and Reinke pivots. We also guarantee all of our work with the highest performance in a very timely manner. We have 10 years of experiance in our profession and are very familiar with all the in's and out's of T&L and Reinke pivot systems, and take lots of pride in our work. We have two operating Boom trucks that will ensure a better customer satisfaction. We also have 10 years experiance in building Grain bins in the Nebraska area. The type of grain bins we have built is Sukup and Chief. We would like to offer you our business and professionalisum along with satisfation guaranteed!! For surrounding areas in Nebraska. We provide profesional instulation of shingles, rain gutters, sidding, ventilation vents, and any other outside construction that your home may need. Our company does give you the option of us providing all the material or you may provide it, and we dispose of all removal. We guarentee all our work and in a timely matter. We have a wide varity of brands and colors of shingles and sidding that you may choose from. We would like to offer our services to you for all your outdoor remodeling needs.